^ 1.0 1.1 A-10/OA-10 Thunderbolt II. GlobalSecurity.org. 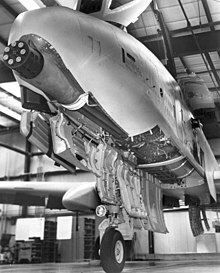 ^ GAU-8/A Avenger. National Museum of the USAF. [2009-09-14]. （原始内容存档于2010-04-16）. ^ 4.0 4.1 4.2 4.3 Spick 2000, p. 44. ^ Stravonski. Firepower of the A-10. [2009-09-14]. （原始内容存档于2003-04-15）. ^ 6.0 6.1 6.2 6.3 Wagner, Jirka. 30mm cannon GAU-8 Avenger. （原始内容存档于2013-01-05）. ^ Stephens, Rick. A-10 Thunderbolt II. World Air Power Journal. 1995: 18. ISBN 1-874023-54-9. ^ Time Compliance Technical Order 1A-10-1089, Flight manual TO 1A-10A-1 1–150A Change 8. United States Air Force. 20 February 2003: vi. 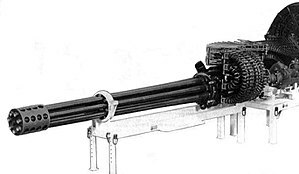 ^ 9.0 9.1 Fact Sheet: General Electric GAU-8/A "Avenger" 30mm Cannon. Hill Air Force Base. （原始内容存档于2011-06-04）. ^ GAU-8 Avenger. [2005-04-27]. （原始内容存档于2005-02-19）.